welcome to tattoo tuesday on the mouse - a new quasi regular series! 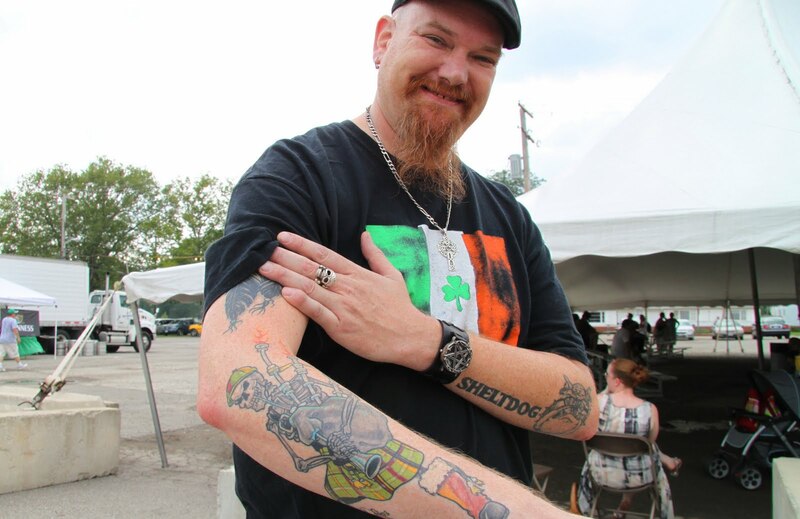 this weekend was the cleveland irish cultural festival, with the exception of a tattoo convention, there are few gatherings where one encounters so much inked flesh in one location. it was great! thanks to jason (above), matt (in the middle - matt & his partner jen are were visiting from johnstown, pa and are part of a celtic musical group called tree the band), and the woman below, whose name i either forgot or didn't get, for letting me snap their artful skin and giving the thumbs up so i could share their creative expressions on the mouse! 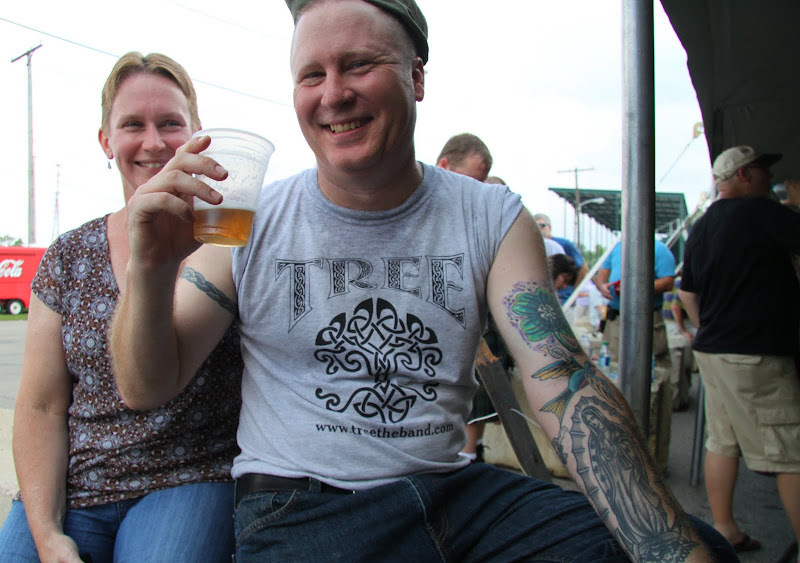 tree the band performing the wild rover - a staple for celtic musicians everywhere. geez, we probably heard the song a half dozen times this weekend! the wild rover is often considered a drinking song and can be heard in irish pubs and at every irish festival one attends; ironically the song is a temperance song and first gained popularity during the 1840s and spread from scotland to america with the temperance movement. I'm enjoying the tattoo posts. Those are some pretty amazing works of art. Two thumbs up on these! That's definitely some dramatic ink! I love seeing huge artful tattoos, though I don't think I'd ever get one myself. I'm too afraid of what they'd look like should I be lucky enough to get to 80. 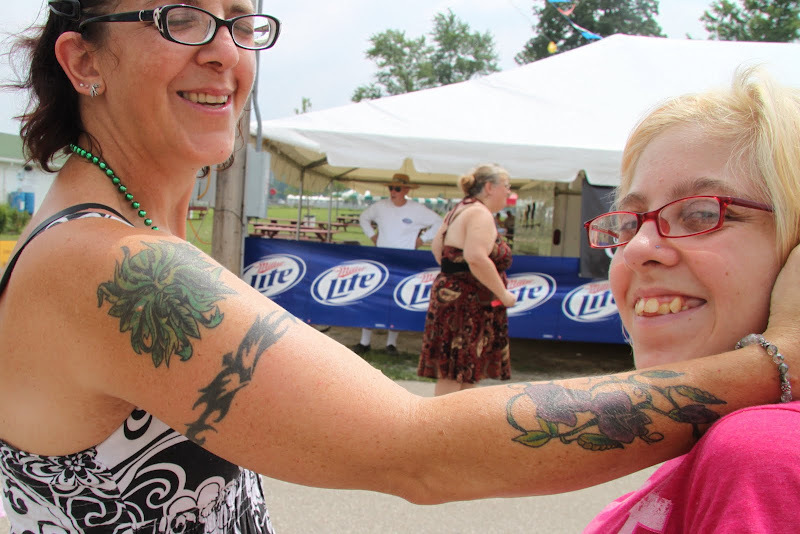 Tattoo Tuesday - a wonderful idea. But you are one brave person to capture all those tattoo'd limbs. Tattoo Tuesdays, eh? If this is an example, this is gonna get interesting! It's amazing what the artists are able to create. Love the tattoos. I don't think I could ever get one but my neighbors are covered in ink.